David Nairn is a high ranking leader in the British Secret Service. Nairn is an old horse in the Intelligence field, having been around for nearly thirty years and having worked in numerous areas of the world. Though some of his missions earlier in his career are told in flashback, most of the activity in the five-book series revolves around his role as Deputy Director of Operations, responsible for handling other agents and generally running the show. Nairn lives a mainly solitary life in a dingy apartment. He was happily married for many years but his wife died a decade before in a car crash and he has acquired a habit of not taking the kind of care she was once so determined to do. By his own description he has “gaunt, weather-beaten skin stretched tight over angular bones” making him appear ten years older than he was and he was easily in his early fifties. His frequent travels and changes of assignment precluded his amassing many possessions and greatly stunted his social life. Complicating matters, he suffers from a very bad heart and has to take time off at one point for serious heart surgery. Through all that, he remains an intrepid warrior against the communist forces trying to take over the world even as it struggles to remain in existence. As the series progresses, Nairn begins to make more and more use of a female agent that he learns to greatly respect. As an agent, Sarah Coble is not afraid to take chances or to put her life in danger to get the job done. Nairn sees a lot of himself as a young agent in this woman. 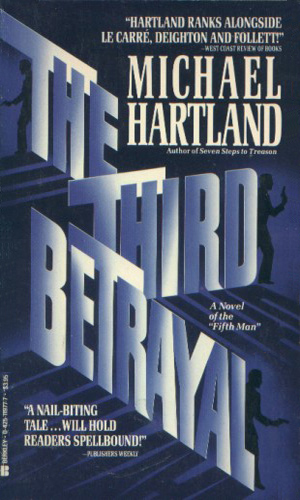 As the blurb on the back reads, "there were two kinds of people Nairn couldn't trust: his enemies and his friends". David Nairn is tiring of his job after so many years of doing it but he is still alert enough to see the power play between Russia and the new China. 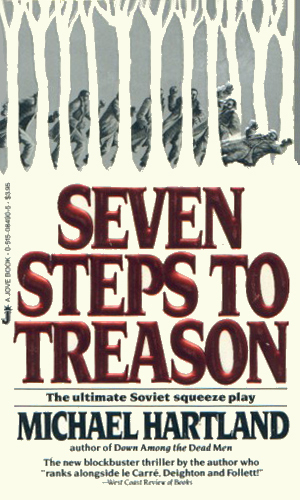 British Ambassador Coble learns that his daughter has been kidnapped by the Soviets at the same time they try to blackmail him over an incident twenty years before. 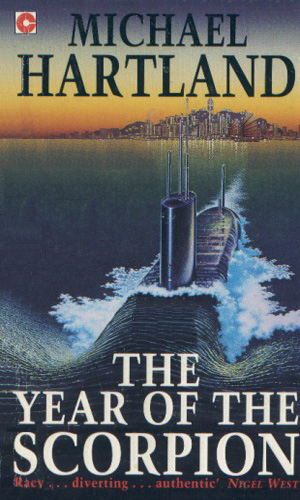 As he fights the enemy on two fronts, he needs the help of David Nairn. David Nairn is tasked with finding the "Fifth Man", the last mole in British Intelligence after Philby, Burgess, Maclean, and Blount. To ferret out this man, he needs the help of a novice female agent. David Nairn dispatches Sarah Coble to work her way into the confidence of a brilliant Pakistani nuclear scientist, no matter what it takes. As she goes about it, tensions in the region grow even hotter as the Soviet Union teeters near the edge. 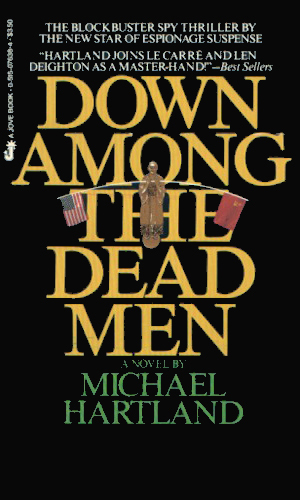 An old colleague from China, now a bitter enemy, offers to help David Nairn and his department on a mission to uncover the identity of the man called Scorpion, a man tasked with destroying the enemies of the Red Chinese. At one point, I seriously considered naming Sarah Coble as the main character for this series as the adventures seem to involve her far more than Nairn. In the end, though, I went back to the old horse because he was running the show and it was his skill and knowledge that dominated. 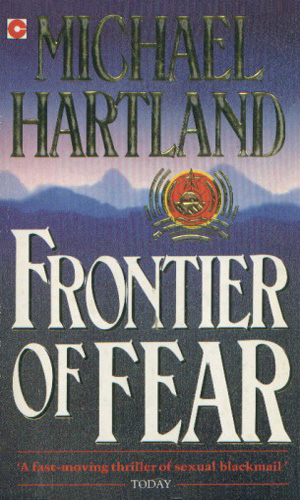 Mr. Hartland is a terrific writer who also served in the Intelligence community as well as the Diplomatic Corps, giving him great insight into both fields which he is generous enough to share. This element of realism is a great pleasure.